The District Court of Kymenlaakso on Friday sentenced a 50-year old man to one year imprison-ment for deliberately targeting an emergency refugee reception centre in Kouvula with a firebomb in September. Photo Lehtikuva. 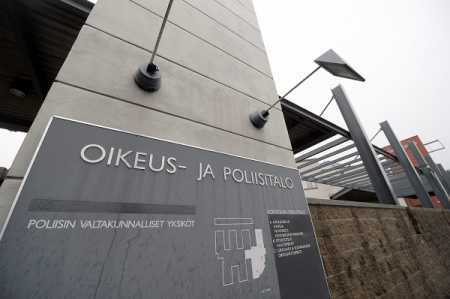 The District Court of Kymenlaakso on Friday sentenced a 50-year-old man to one year imprison-ment for deliberately targeting an emergency refugee reception centre in Kouvula with a firebomb in September. The man was convicted for criminal mischief and the court in its verdict said that the attack was ra-cially motivated thereby considered an aggravated offence. The convict admitted having hurled the firebomb at the emergency shelter's door. The bottle used contained inflammable liquid, the man said. He, however, denied his action was racially motivated and that he did not intend to harm anyone. The prosecutor called for at least 3 years imprisonment for the aggravated mischief. The defence denied that the man’s action was racially motivated. Matti Aro, the lawyer representing the accused said the man wanted to protest against the refugee policy. According to the lawyer, the man felt that there were too many refugees coming to Finland and therefore causing excessive costs. According to the opinion of the man, these funds are taken away from the poor and the unemployed. “This was a pure protest,” Aro said.